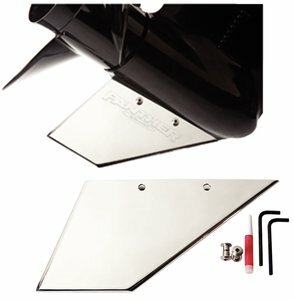 Whether you are looking to protect your new skeg, repair your damaged one or even just add some shine. Marine grade stainless steel construction - Safe-Skeg is brilliantly polished and ready to install. Kit includes mounting hardware, instructions, Allen wrench and Loctite.